Little Girl Embracing A Kid Goat On A Farm. Child Holds And Hugs The Baby Goat. Animal Care And Love Concept. Children Need To Communicate With Animals. Lizenzfreie Fotos, Bilder Und Stock Fotografie. Image 101032305. 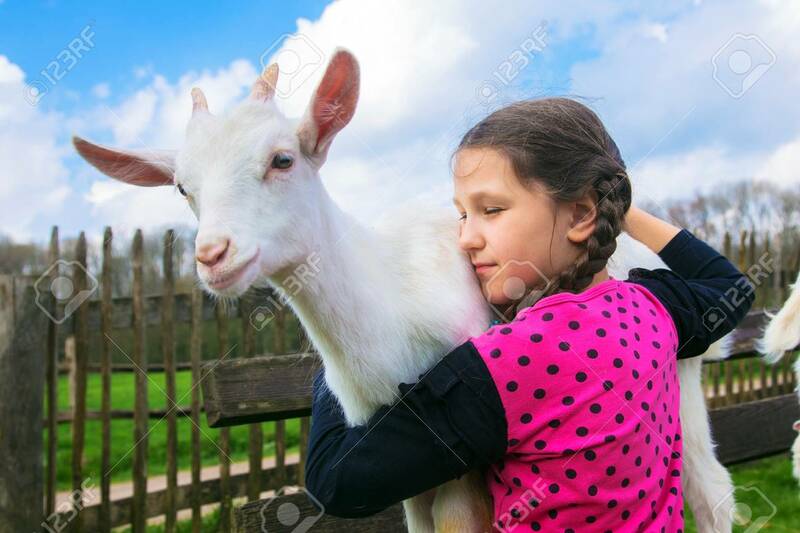 Standard-Bild - Little girl embracing a kid goat on a farm. Child holds and hugs the baby goat. Animal care and love concept. Children need to communicate with animals. Little girl embracing a kid goat on a farm. Child holds and hugs the baby goat. Animal care and love concept. Children need to communicate with animals.